I have a bias cut ombre Mori Lee gown that I want to look like the ad picture but none of the mermaid slips are working. 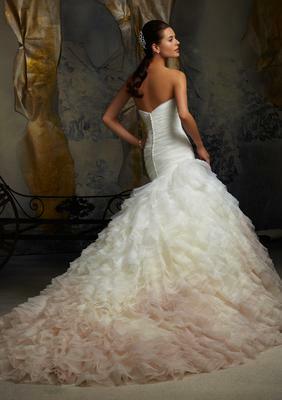 I want the dress to lift closer to the top instead of falling from the weight and flaring at the bottom. Do they make such a slip or do I need to have a seamstress add crinoline to the underneath of the dress? Thank you in advance. Yes there is a slip made for this purpose. I sell it through my local business. If you want to purchase one contact me for pricing through the contact me form.